Unusually we have two very full sources for the reign of Artaxerxes II, both Greek of course. Xenophon was an upper-class Athenian who preferred Sparta to his own city, and was a great admirer of Cyrus, younger son of Darius II - so much that, in later life, he wrote a fictionalised biography of his ancestor Cyrus the Great ("The Education of Cyrus" or Cyropaedia). The Cyropaedia paints an idealised picture of Persian education and culture. As a young man he'd been recruited by Cyrus the younger to join his mainly Greek army whose mission (though not revealed at the start) was to overthrow Artaxerxes II and make Cyrus king. Xenophon wrote a detailed and exciting report of this expedition in the Anabasis ("Going inland" - often called in English "The March of the 10,000"). As an eyewitness account by someone sympathetic to Cyrus' ambitions it's quite different from most Greek writing about the Persians. Plutarch was a Greek living in Greece during the Roman empire in the 3rd century AD (600 years later). He wrote biographies of famous Greeks and Romans - and then compared them to each other. (For example Alexander the Great and Julius Caesar). Only one biography is different. His Artaxerxes II is the only one not about a Greek or Roman. He had access to many writers now lost to us (including Ctesias, whom he despises), so it should be a most valuable source. Unfortunately though, after paying tribute to Xenophon's account of Cyrus' attempted coup, it becomes a typical piece of Greek "orientalism" - Plutarch seems mainly interested in describing the hideous tortures and bizarre methods of execution which Artaxerxes and his mother Parysatis inflicted on their family and friends. You may remember he was responsible for giving the label "philobarbaros" to Herodotus. A source for these tales may well have been Ctesias, who, according to the summary by Photius, included much gruesome detail in his account of he rebellion of Cyrus. One of the consequences of the long Peloponnesian war was that many young men had grown up thinking of war as a job. A very important change in how wars were fought was taking place. Formerly farmers became soldiers and fought for their city once the harvest was in; now there were men pleased to fight, for any cause, any time, any place, if the price was right: mercenaries. Darius II and Parysatis had two sons. Artaxerxes, the elder, became king on his father's death. Cyrus, the younger brother, his mother's favorite, reckoned he'd a better claim, because he'd been born while his father was king. He had helped Sparta win the Peloponnesian War, and knew the Greeks well, especially the Spartans. He had been planning to challenge his brother for some time. Cyrus began recruiting an army of Greek mercenaries (later known as the 10,000) to fight it out with his brother. 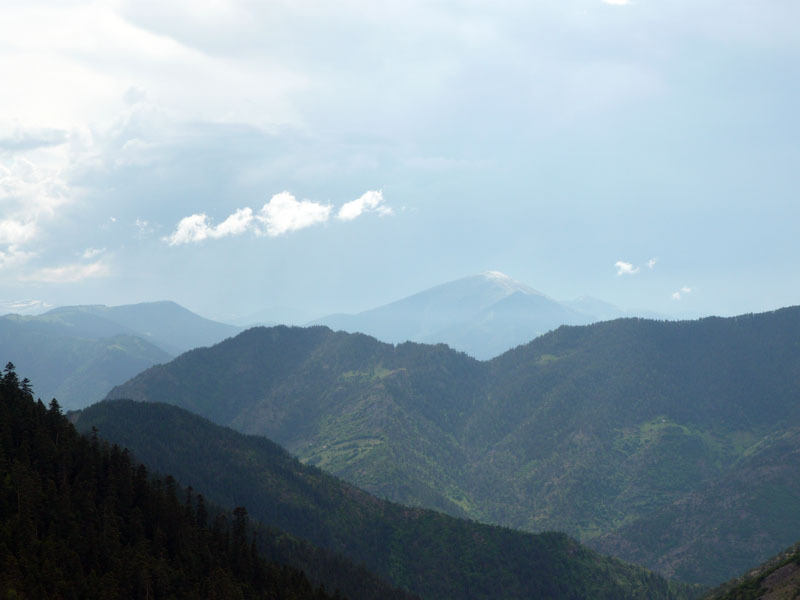 He pretended that they were needed to deal with some local rebels in the hills of Anatolia. When it eventually became clear what his real objective was, the mercenaries were furious, but with a pay-rise promised, they carried on. Xenophon's story of the long march into the heart of the Persian empire often sounds light-hearted, and even fun. However, at Cunaxa, near Babylon, after six months on the road, Cyrus' army met and fought with his brother's. The Greeks won, but Cyrus was killed. His brother later claimed he'd killed him himself - and had all witnesses horribly put to death (according to Plutarch). The whole point of the expedition was lost, and the Greeks had no one to pay them. Tissaphernes (him again) invited their leaders to a conference, and had them all killed. The soldiers now debated what they saw as their choice: settle down in Persia, marrying Persian wives and living a much more comfortable life than they would have done at home, or try to make it back to Greece somehow. The local ruler sent a guide for the Greeks. When he arrived, he told them he would take them to a place from where they could see the sea. And so he guided them. On the fifth day they reached the mountain. When those in front got to the top and saw the sea, a great noise erupted. Xenophon and the rear-guard thought the enemy were attacking the front of the column. But when the noise grew louder, with men constantly running towards the men who were shouting, it occurred to Xenophon that it was something more. Getting on his horse, and rousing the cavalry, he rode forward towards the sound. And soon they could hear the soldiers shouting "Thalatta, thalatta!" and congratulating each other. The Zigana Pass, where the modern road crosses the mountains before descending to Trabzon (Trebizond/Trapezus) on the Black Sea. Unfortunately the sea is not visible from here: Xenophon must have been much higher. Photo AMW. There's no evidence for much Persian support for Cyrus. Artaxerxes consolidated his position, and gave Cyrus' command in the west of the empire, and his daughter in marriage, as rewards to Tissaphernes. Why hadn't he tried to stop Cyrus before he got to Babylon? Probably because once again Egypt was trying to break free from Persia - dealing with Egypt would have been a priority. It seems that Egypt was lost (399 BC), at least temporarily, and that there were efforts to recapture it over the next 20 years. Cyrus the younger's attempted coup. 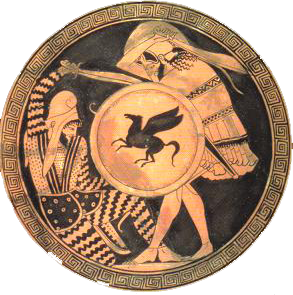 Greek sources - good, bad and ugly (Xenophon, Ctesias and Plutarch). There's a fine 1979 film based on this book where the action is set in New York gangland. 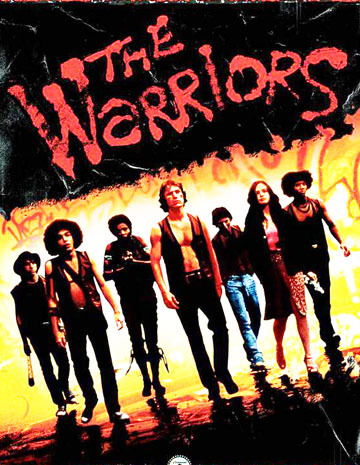 Called The Warriors it became a cult hit. A term coined by the Palestinian writer Edward Said to describe the way the west has preferred to view the east: a place of exotic and savage decadence. It is a sophisticated form of racism. A Greek word meaning "barbarian-lover". It's intended to be insulting. "After crossing the Euphrates, the desert was as flat as the sea, and full of aromatic shrubs. There were no trees, but all sorts of game - very many wild asses, and many ostriches. And there were bustards and antelopes. "Those with horses sometimes chased the game. The asses were much faster than the horses; they would run away and then stop until the horses caught up, when they would run off again. It was only possible to catch them if they stationed horses as intervals, like in a relay race. Their meat was like venison, only tenderer. "Nobody could catch an ostrich; if anyone tried chasing one he soon gave up, for it easily outpaced them, using its feet for running, and its wings lifted up, like sails. But you can catch the bustards, as they only fly a short way, like partridges, and soon become exhausted. Their meat is excellent." "The sea, the sea!" Later Xenophon's men suffered horribly after eating local honey - originating from the yellow rhododendron which still grows prolifiically in the Zigana Pass. This Old Persian word was once thought to mean "a columned hall" (such as are found at Persepolis and Susa). It's now thought likely that it actually means "the place of waters". The "apadana" referred to by Artaxerxes could thus have been a temple of Anahita - goddess of water. These two gods are mentioned here for the first time in an official inscription. Anahita (Anaitis) was a goddess, who the Greeks identified with Athena, Artemis and Aphrodite. She is, in particular, the goddess of all waters. Mithra was associated with the sun. So Anahita and Mithra together reflect the most significant features of Persia: the burning heat of the sun, and the scarcity of water. A Persian paradise (garden) provided always provided shade and running water. A Babylonian priest who wrote in Greek around the time of Alexander. His History of Babylonia would have been a marvellous source - but only survives in second or third hand quotations and references.